Dr. Jennifer Hillmann is originally from Fennimore, in southwestern Wisconsin. She earned her undergraduate degree from the University of Wisconsin-Platteville with a major in Pre-Optometry/Zoology. 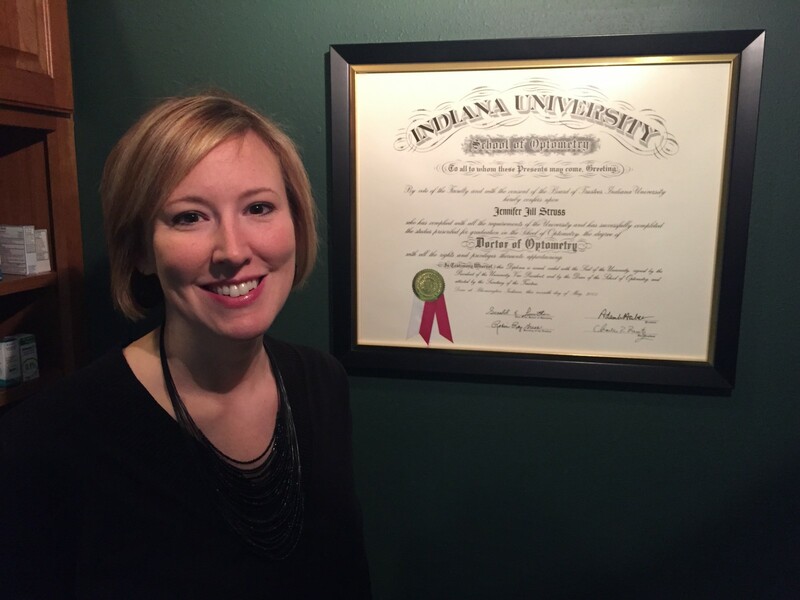 She was awarded a Doctor of Optometry degree from the Indiana University School of Optometry in 2005. Dr. Hillmann is a member of the American Optometric Association, the Wisconsin Optometric Association, and the Kettle Moraine Optometric Association. She is also a provider for the InfantSEE program. After a time living and working in the Green Bay area, Dr. Hillmann and her husband recently moved to this area to be closer to family and friends. In their free time, they enjoy attending Badger athletic events, golfing, and water sports. Dr. Hillmann believes that having a comprehensive eye examination is not only about correcting blurred vision, but also about maintaining the overall health and improving the quality of life of her patients.